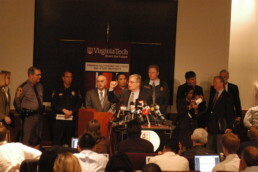 Ed Spencer, previous vice president for Student Affairs address the university at a press conference regarding the April 16 shooting, April 19, 2007. 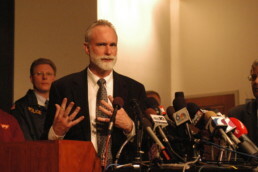 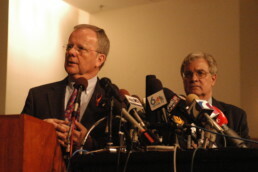 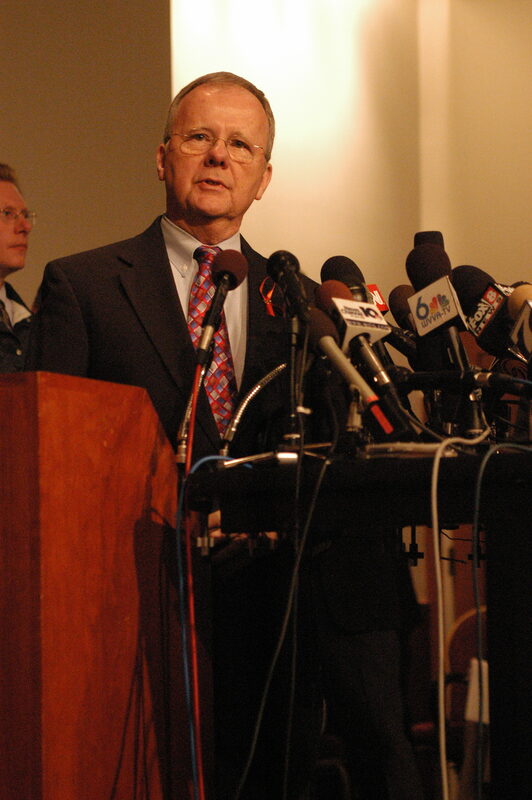 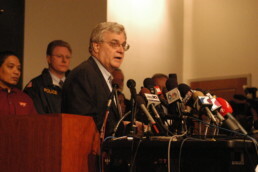 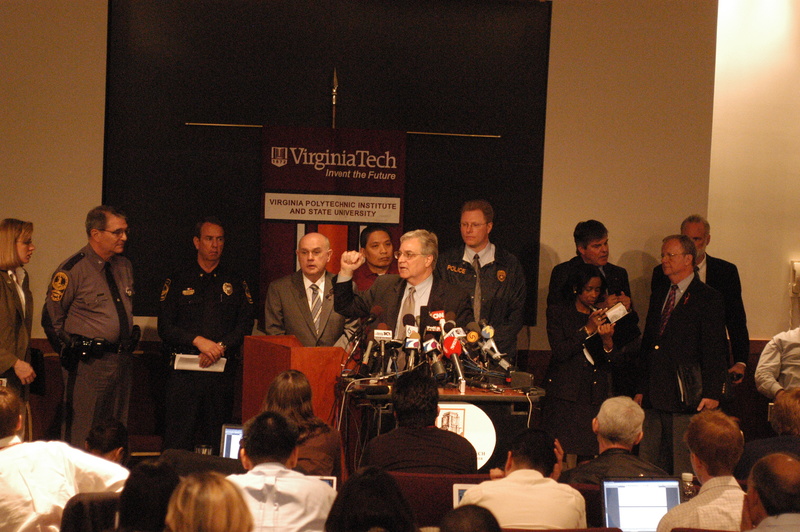 Larry Hincker, previous associate vice president for university relations, speaks at a press conference regarding the April 16 shooting, April 19, 2007. 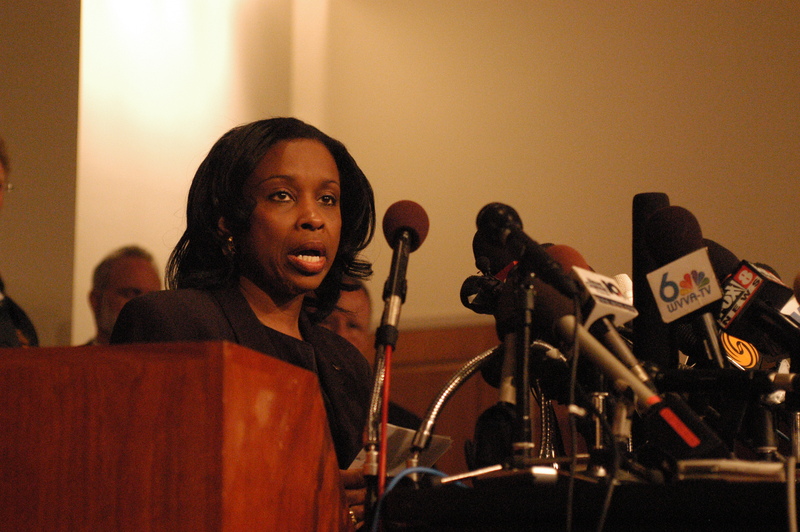 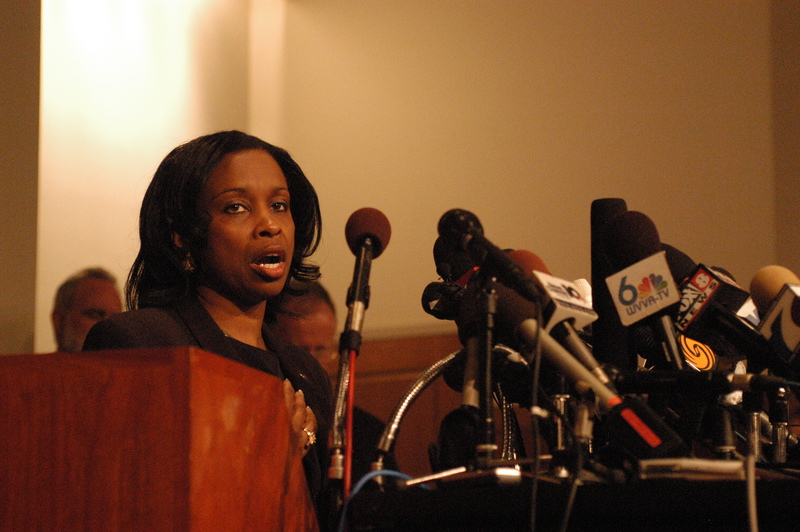 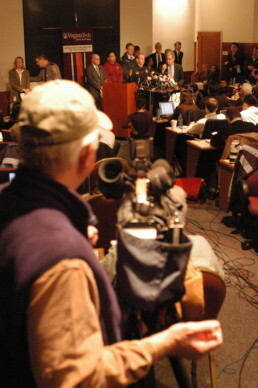 Zenobia Hikes, previous vice president of student affairs speaks at a press conference regarding the April 16 shooting, April 19, 2007. 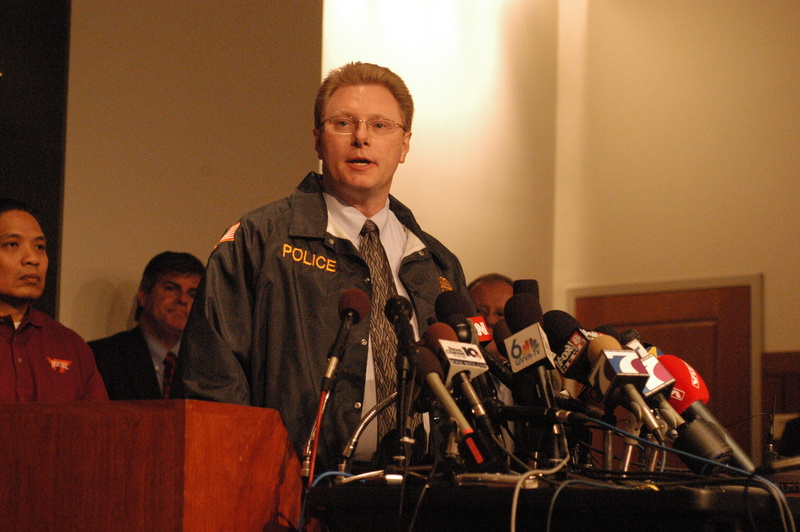 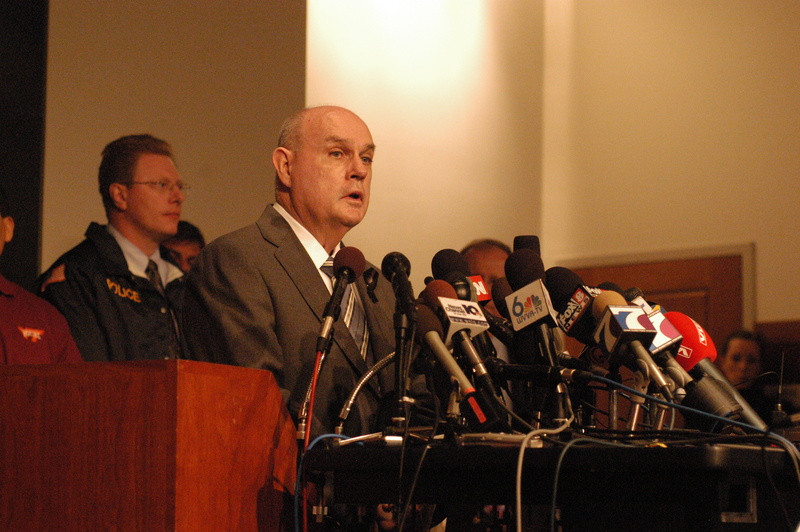 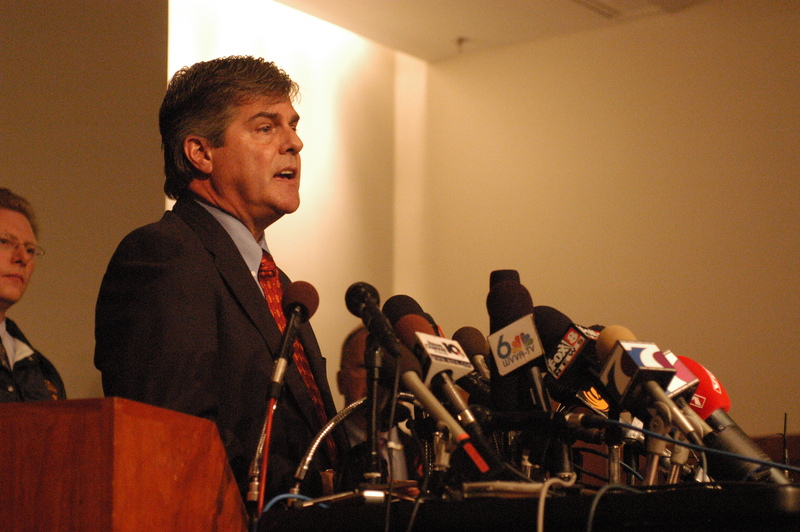 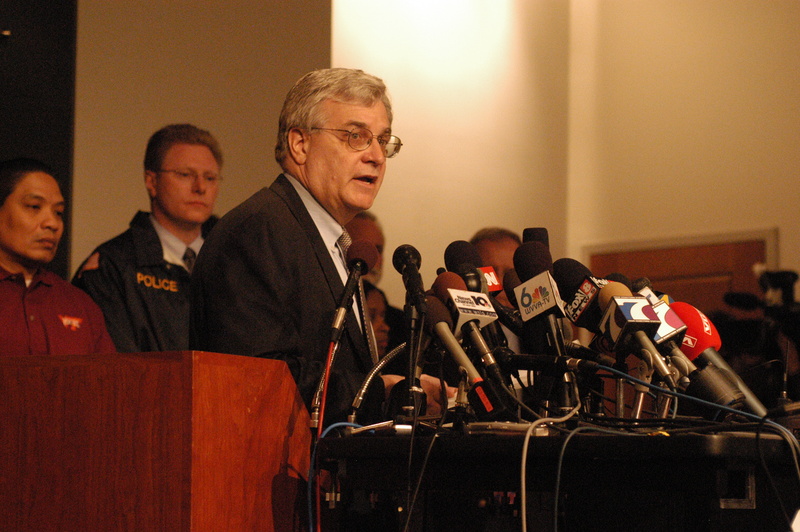 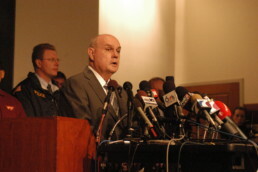 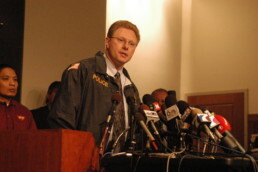 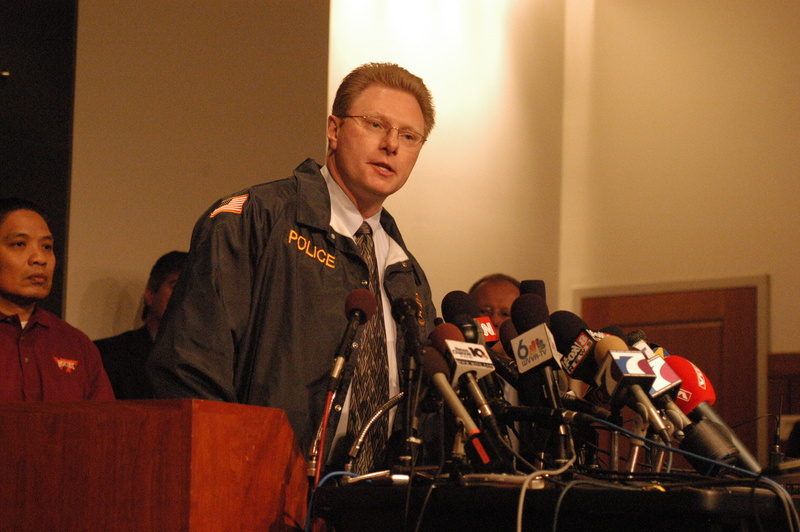 Postal inspector David McGinnis speaks at a press conference regarding the April 16 shooting, April 19, 2007. 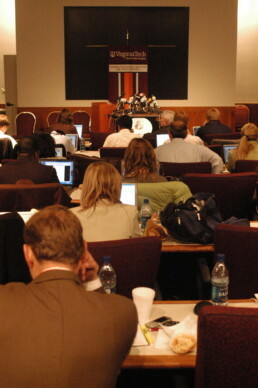 The media patiently waits for a press conference to begin regarding the April 16 shooting, April 19, 2007. 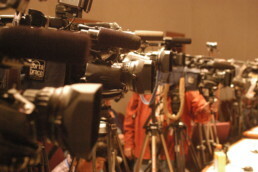 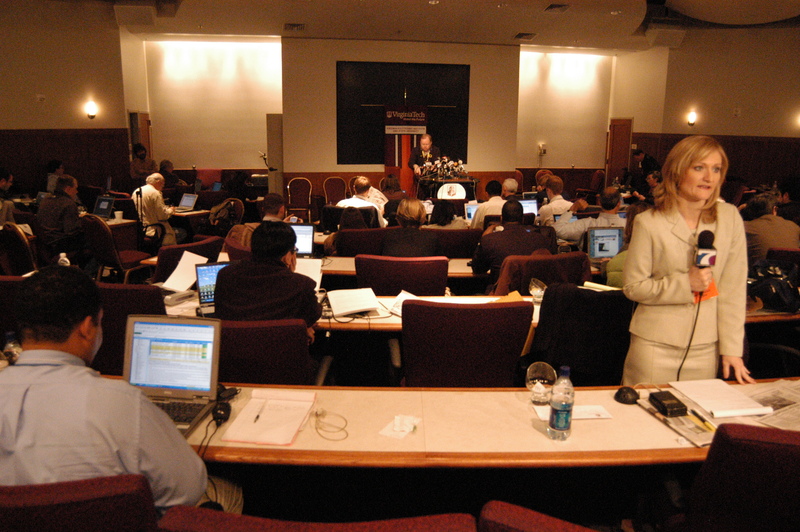 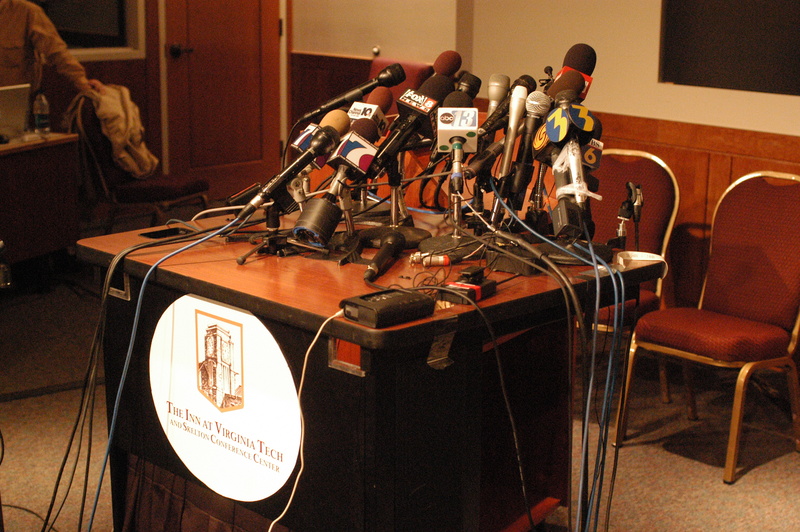 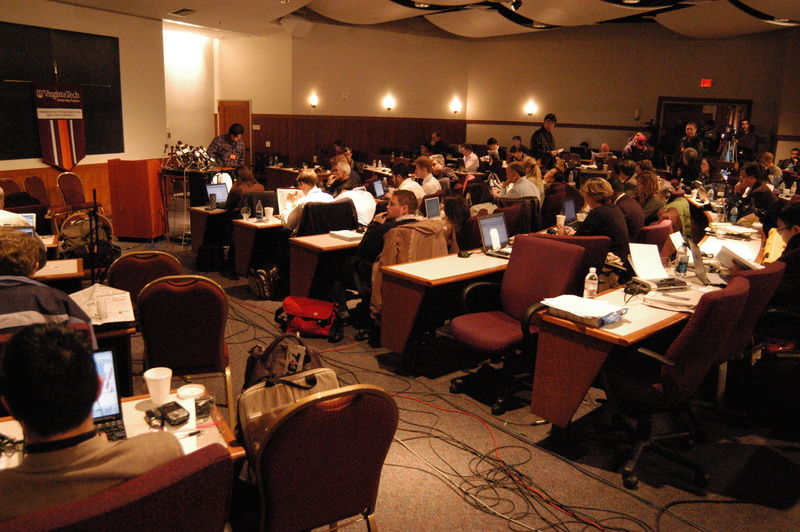 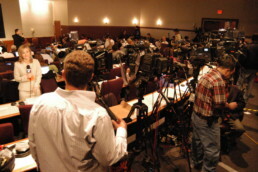 The media patiently waits for a press conference regarding the April 16 shooting to begin, April 19, 2007. Christopher Flynn from Cook Counseling Center speaks at a press conference regarding the April 16 shooting, April 19, 2007. 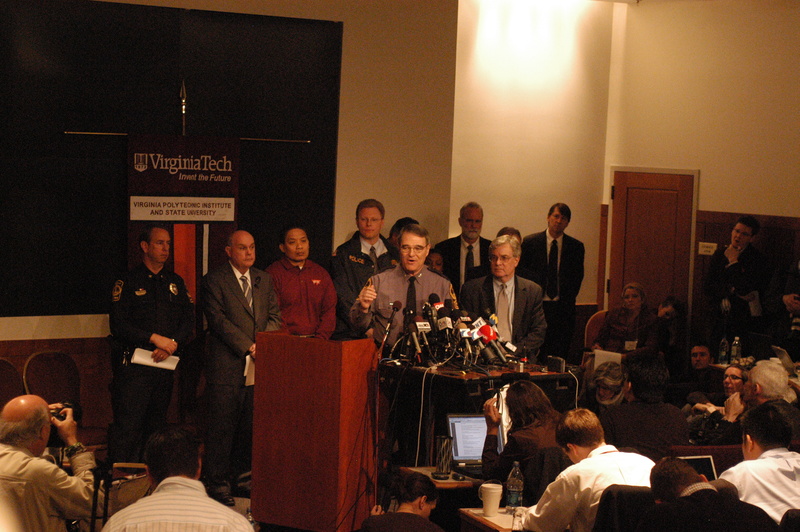 Previous VTPD Police Chief Wendall Flinchum addresses the university at a press conference regarding the April 16 shooting, April 19, 2007. Provost Mark McNamee addresses the university at a press conference regarding the April 16 shooting, April 19, 2007. 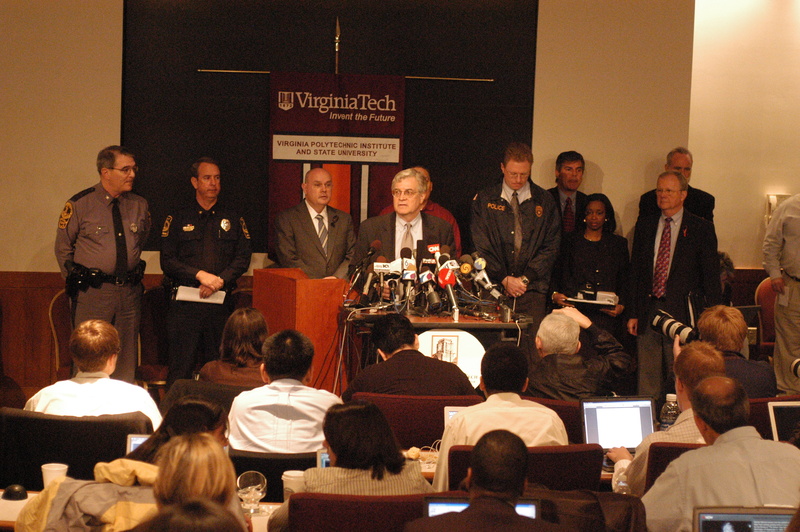 Tom Brown, dean of students speaks at a press conference regarding the April 16 shooting, April 19, 2007. 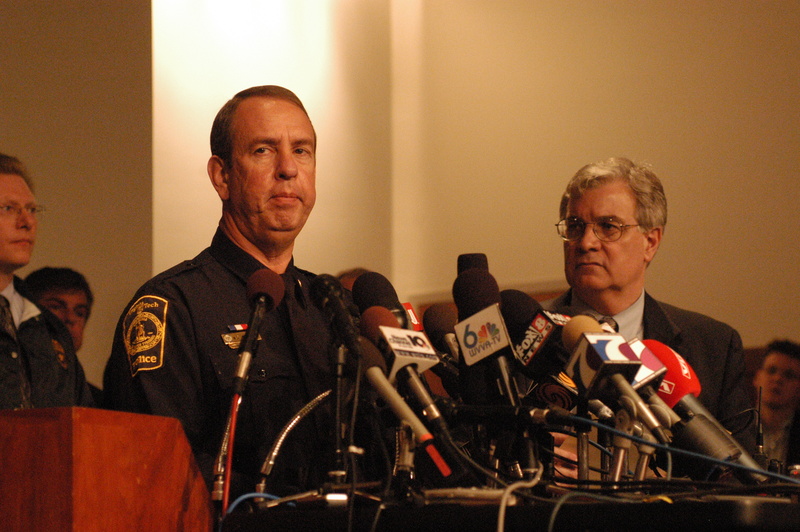 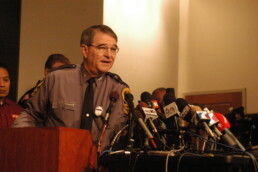 Col. Steve Flaherty speaks during a press conference regarding the April 16 shooting, April 19, 2007. 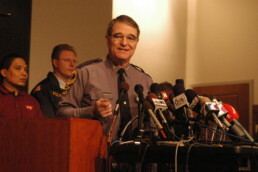 Col. Steve Flaherty speaks during a conference regarding the April 16 shooting, April 19, 2007. 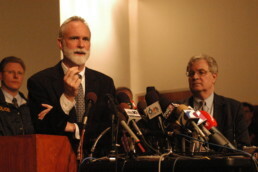 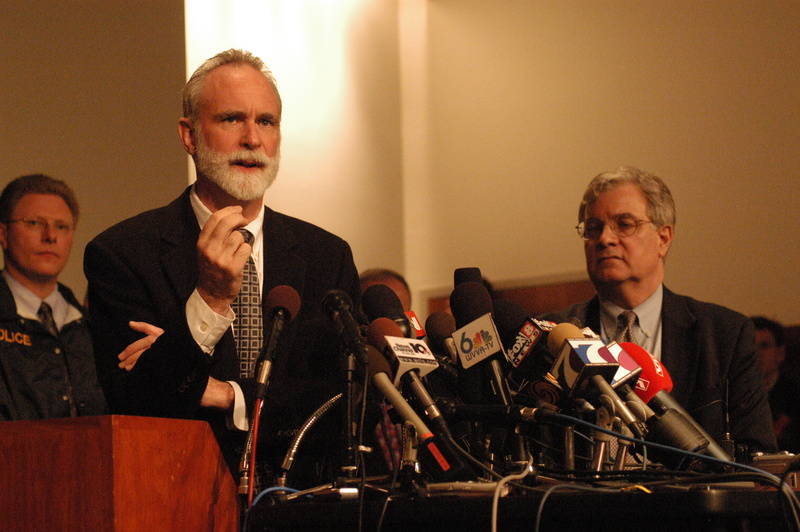 Christopher Flynn from Cook Counseling Center speaks at a press conference, April 19, 2007.